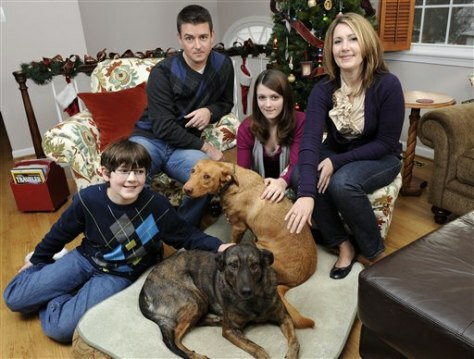 Debbye Meszaros, top right, with her family and dogs at their home in Olney, Md. Clockwise from top right are Debbye, dogs Sophie and Sasha, son Noah, husband Kazmer and daughter Amanda. Dogs Sasha and Sophie can expect rawhide bones for Christmas this year, said Meszaros.